Brie Larson looks fierce…Captain Marvel. She’s coming to save the world where other superheroes have failed. 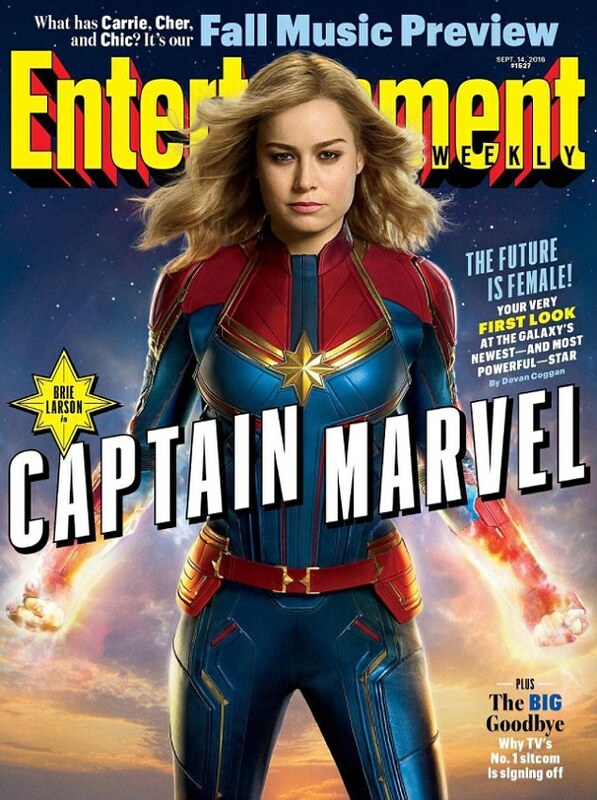 Brie Larson makes her debut as Carol Danvers, aka Captain Marvel, on the front cover of Entertainment weekly, released on Thursday. The 28-year-old looks fierce in a skin-tight blue and red body suit with her blonde curls tumbling over her shoulders.